Abilify (aripiprazole) is an atypical antipsychotic that is approved to treat a number of psychiatric conditions in adults and children. The medication, which is marketed by Bristol-Myers Squibb and the Otsuka Pharmaceutical Company, was initially approved by the U.S. Food & Drug Administration (FDA) in 2002. 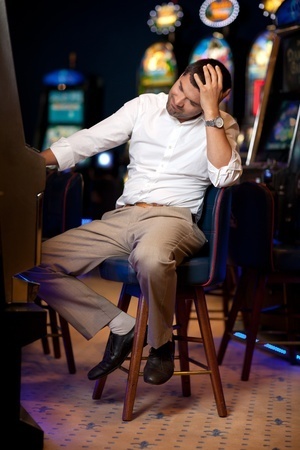 Several studies have suggested that Abilify may be associated with compulsive behavior, including gambling addictions. A growing number of Abilify lawsuits allege that Bristol-Myers Squibb and Otsuka failed to provide patients and doctors with adequate warnings about this risk. The nationwide law firm of Bernstein Liebhard LLP is now offering free legal reviews to individuals who allegedly developed a compulsive gambling habit while using Abilify. To learn more about your legal options, please contact our Firm at (888) 994-5118. In 2013, Abilify was the top selling drug in the U.S., with sales over $6.4 billion. The medication works by increasing or decreasing dopamine or serotonin in the brain. These two neurotransmitters produce feelings of pleasure and motivation. Increased risk of death in elderly patients with dementia-associated psychosis. More information about the side effects and complications potentially associated with Abilify can be found in the drug’s Medication Guide. In September 2007, Bristol-Myers Squibb entered into an agreement with the U.S. Department of Justice (DOJ) to pay $515 million to settle civil charges involving Abilify and other medications. Among other things, federal prosecutors had alleged that from 2002 through the end of 2005, the company knowingly promoted the sale and use of Abilify for pediatric use and to treat dementia-related psychosis. The medication has never been approved to treat elderly dementia patients. When the settlement was announced, it had yet to be approved for any pediatric indications. In March 2008, Otsuka Pharmaceutical agreed to a $4 million Abilify settlement in order to resolve similar charges with the DOJ. Dopamine is a neuro-transmitter that is associated with feelings of pleasure, as well as addictive or compulsive behaviors. Some research has indicated that Abilify may over-stimulate dopamine reward receptors in the brain – called dopamine 3 (D3) receptors – causing some patients to experience compulsive behaviors, including pathological gambling. February 2011: A study detailed three patients who developed compulsive gambling habits while using Abilify to treat schizophrenia or schizoaffective disorder. None of the patients had a prior history of pathological gambling, and their compulsive behavior began after they initiated treatment with Abilify. April 2011: A paper that appeared in the British Journal of Psychiatry reported on three more cases of compulsive gambling among Abilify patients. March 2014: Eight more cases of pathological gambling possibly associated with Abilify were reported in the journal Addictive Behavior.